I Hate Camping So Why The Hell Am I Climbing Kilimanjaro? Home / Destinations / Africa / I Hate Camping So Why The Hell Am I Climbing Kilimanjaro? OMG. I like an adventure but to be honest, it doesn’t come natural to me. Yes, I like ziplining, I like abseiling, I like climbing but it is most definitely a love, hate relationship. 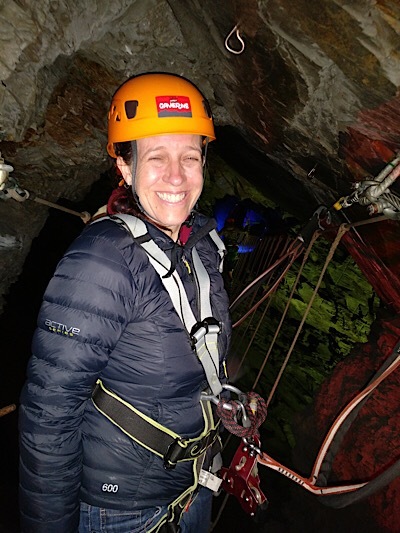 My heart races, my palms get sweaty, my legs start shaking, I get stroppy (just check out this Caverns Zipworld experience). What more can I say?! 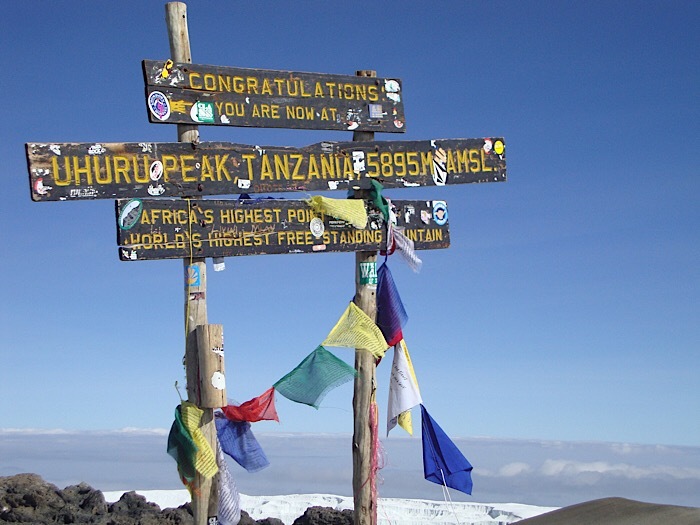 So, why the hell have I just signed up to climb Kilimanjaro? Kilimanjaro is quite simply on my bucket list. I do not recall how it got there and frankly, my stomach feels a little sick just thinking about it! Thankfully, it’s over two years until the big day so I’ve got time to get fit, deal with my fear and buy a shed load of gear. Oh, and the small matter of raising £9,000 for charity. That’s the minimum we need to raise, but truth be told I would like to raise over £10,000. Well, it sure isn’t because I love camping. How could anyone enjoy sleeping on the floor? It isn’t even because I like walking. Nope, I’m not a massive fan of that either. Yes, I go for a daily walk, but only to meet my daily steps target and get my free weekly cinema ticket. Hell, I’m not even a fan of heights. Yes, this is going to be hell on Earth for me, but I like a challenge! Maybe I’m a sadist or just plain mad, but I like doing things that challenge me physically or mentally, and this is going to do both with abundance. Perhaps, more importantly, I want to do something that will inspire people to help us raise money for Bluebell Wood Children’s Hospice. My mum passed away from cancer. It turned my life upside down, introduced me to a dark world I didn’t know existed and lead me into a pretty destructive place. My husband, my lifeline, really helped to pull me back from the brink. As terrible as it was though, my mum was sixty. Not old, sure, but she had lived. She got to see her kids grow up, get married and have their own kids. Sadly, some people don’t get that chance. Their lives are stolen away and their parents somehow have to battle through each day. This is where Bluebell Wood comes in. ‘The Children’s Hospice offers care and support to children with a shortened life expectancy…in a place filled with laughter and love‘. You can read some of the stories of how their support helps afflicted children on their site, or watch the short video above. Most of all though, we really need your support so please check out our JustGiving page and help us on our way. Every little counts! You can also sign up to the newsletter to keep up to date with our fundraising and the ultimate climb. Now, some people will say that we are doing this simply to get a FREE trip so I am going to address that right here. Of the £4,500 we each need to raise, £2,246 funds the cost of the expedition. The charity gets the remaining £2,254 plus anything we raise over target. That’s a minimum of £4,508 for the charity that they would not receive otherwise. This is no FREE trip for us though! Jason and I have paid registration fees of £898, we have visas to fund, flight contributions, vaccinations to pay for, and of course, a ton of kit. I am seriously trying not to think about how much that is going to cost (and I will probably never use half of it again but that is what Ebay is for, isn’t it?). Our biggest contribution is however, going to be time. Planning fund-raising events takes a lot of time and effort but I am sure, that with your support, we can get there. Anyone who knows me knows that I will be on a mission to raise as much money as possible so £10,000 may be our initial goal but the sky is the limit. So be a gem…. Is A Cape Point Tour The Most Beautiful Road Trip In The World? Which Is The Most Unique And Charming Cape Town Wine Tour? That’s such an amazing gesture you did and actually, you should be proud of you for being able to do it! I love camping but am not much of a distance hiker – the perfect hike for me is one day without too many hills – but it is amazing to see that you are doing this for such a good cause! I wish you all the best in raising funds and in your climb. Kudos for taking up the challenge of Kilimanjaro and love the fact that it is for a noble cause. With your grit and determination, you are sure to achieve all your goals and emerge with flying colours. All the best for your endeavour. I think I should read that although sometimes I think ignorance is bliss! Wow, I have always wanted to Kilimanjaro too! What a great cause, I wish you the best of luck raising money to reach and surpass your goal! Thanks Megan. It is going to be a challenge in more ways than one but we have to start somewhere, right?